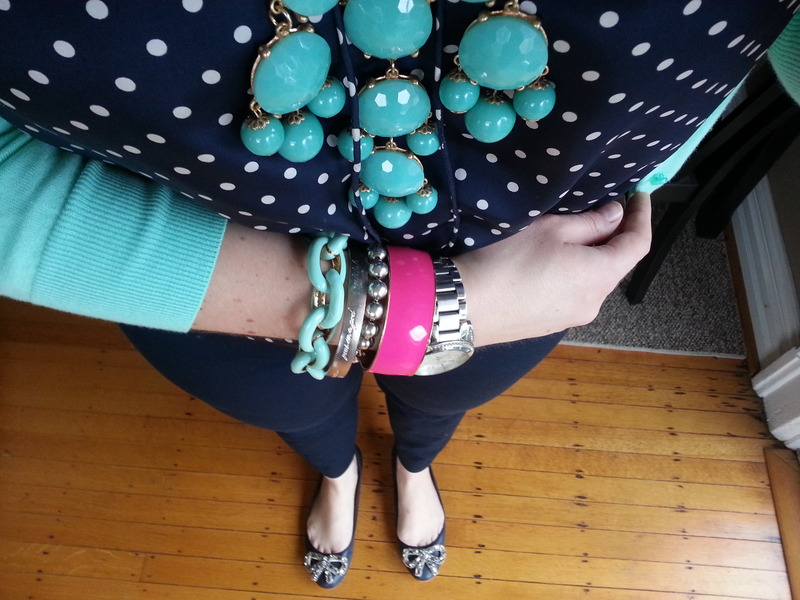 This was the first J.Crew bubble necklace I ever purchased and it is still one of my favorites. It still surprises me how many outfits it works with. 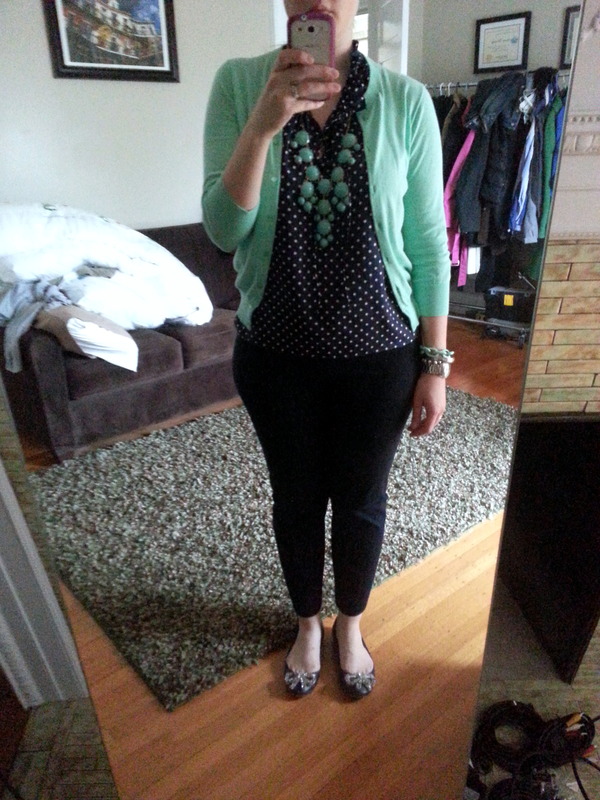 The blouse is the J.Crew polka dot ruffle shell, cardigan is the J.Crew Factory Clare cardigan in bright spearmint and pants are Banana Republic Sloan slim ankle pants. So, here it is, another casual Friday. Would love to hear what you think and thanks for visiting!